Update: Facebook are set to stream The Masters Tournament in the Middle East. 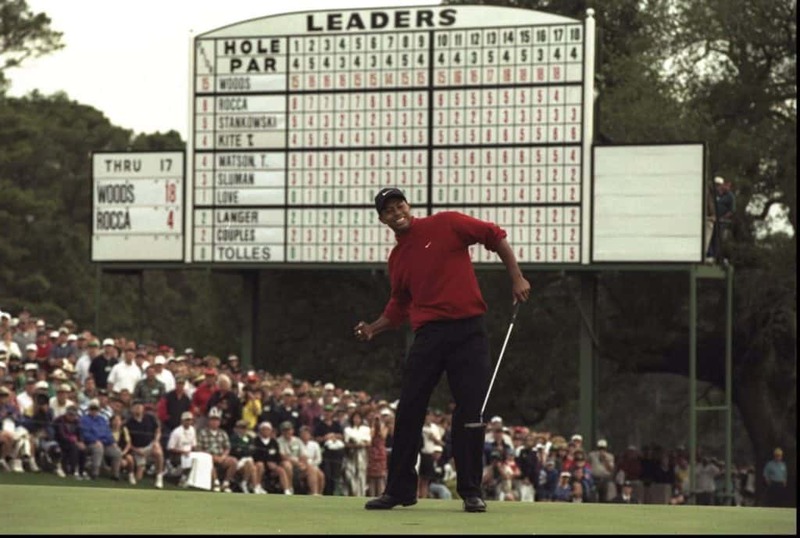 WITH OSN ending their golf broadcasts last month, there is currently no way for golf fans in the UAE to legally watch this week’s Masters, one of the biggest sporting events of the year, on TV. 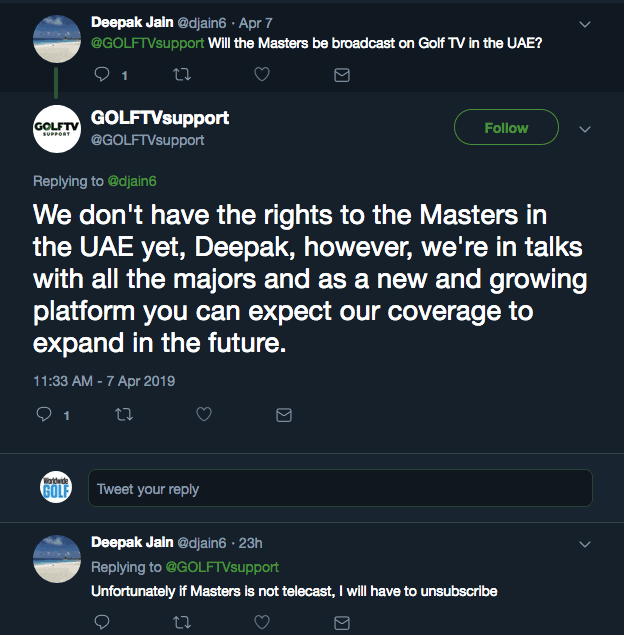 OSN’s decision has come as a result of an increase in piracy in the region and the Masters is the first big casualty of the golf blackout. VPN usage on the rise – With VPN usage on the up and more and more people refusing to watch pay-tv providers, companies such as OSN have been forced to cut their cloth accordingly. What is a VPN? A VPN (Virtual Private Network) is a service that lets you access the web safely and privately by routing your connection through a server and hiding your online actions. Is a VPN legal in the UAE? According to Cybercrime Law number 9, police and authorities can take legal action against those who use illegal VPNs for other inappropriate activities. Therefore, if an Emirati citizen or an expat living in the UAE is using VPN for legitimate purposes, the use of the VPN itself would not be illegal. Golf fans are now looking at ways of streaming the action from Augusta National online, but those booked in to play at Emirates Golf Club could be in for a shock with officials at the club still scrambling with ways to show the Masters. 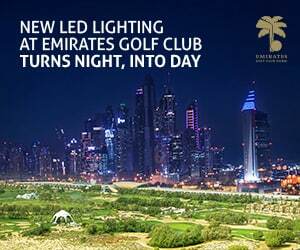 “I don’t think anyone’s got a solution yet and it’s causing us massive problems because we’ve got a couple of society events booked in for the weekend specifically so they can play some evening golf under the lights and then watch The Masters,” said Rhys James, Golf Services Manager at Emirates Golf Club. While the outlook for watching this year’s event is bleak, the future of golf broadcasting became clearer when Discovery waded into the market with their GOLFTV app and website, spearheaded by exclusive content from Tiger Woods, which bought all of the PGA Tour’s international media rights for the next 12 years for $2billion. Rumours abound that they will eventually show all PGA Tour and European Tour (including Ryder Cup) events live in the huge UK market from 2022 when Sky Sports’ current deal runs out and they turn their focus to the UEFA Champions League rights. 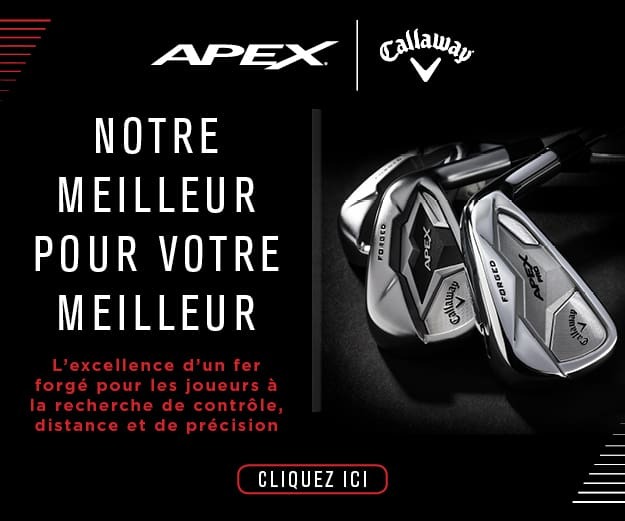 “We are in negotiations with The Masters and the European Tour but we do not have an update on this at the moment,” a GOLFTV spokesman said.